With housing prices rising again, especially in San Diego, the popularity of condos and apartments is rising too. But just because your space might be more limited than in a single-family home – or if you are renting – that doesn’t mean you have to sacrifice your sense of style. For example, many condos and apartments have balconies, some with pretty spectacular views! So that space should not be overlooked as you evaluate your home’s design. Consider your balcony an extension of your living space, which means carrying that color scheme onto the balcony area. First off, decide what you will do about flooring. 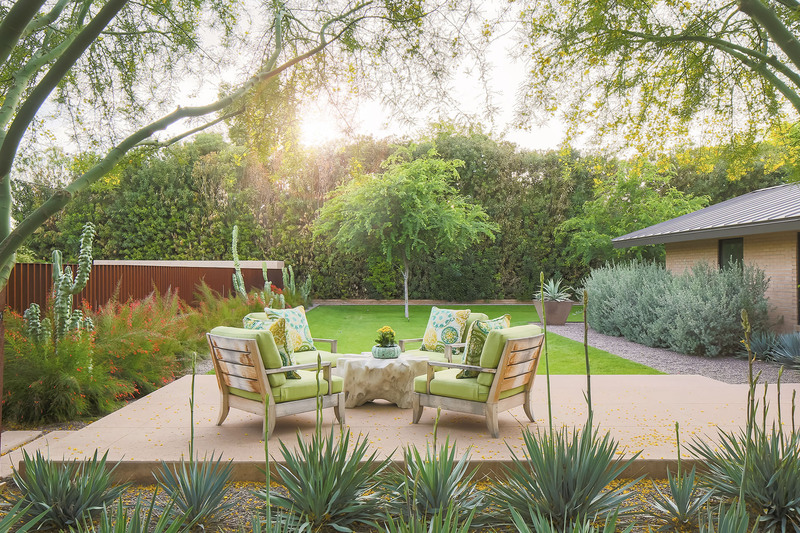 You can add an outdoor rug to provide warmth, or perhaps use locking teak tiles as an elegant cover for concrete. 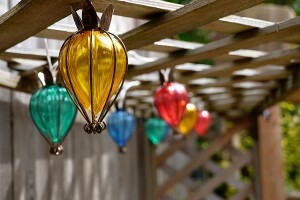 Fun, fanciful lights strung along your balcony supplement the restful outdoor vibe. If privacy is an issue, install reed fencing along the balcony’s perimeter or hang outdoor curtains that flow with the breeze. A bubbling water feature blocks street noise and enhances serenity. Check the height of any furniture you plan to place on the balcony so it provides suitable sight lines for those who are seated. Include a small table for beverages or outdoor dining. 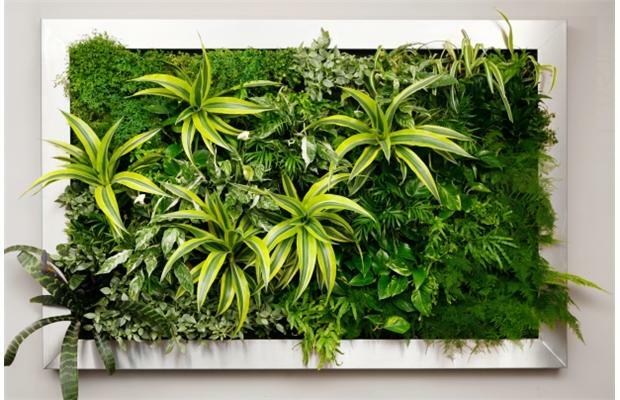 A vertical garden is a cleaner way to bring plants to your balcony. Of course you will want plants on your balcony. 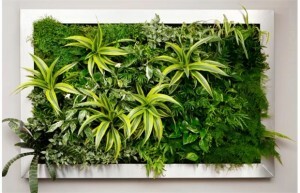 Depending on the space’s depth, that could lead to flower boxes on the railing, colorful potted plants or even a “living wall” with succulents that bring in nature without clutter and high maintenance. Less is more in a smaller area, so be careful not to over-indulge in greenery or your balcony will feel more like a jungle than an urban oasis. And don’t forget about lighting. A couple of copper tiki torches will create ambience, as will mini-lights strung through your planters or around the railing. Look for more than the standard holiday-style lights – appealing paper globe lanterns, iridescent bulbs and metal flowers that reflect their lighted centers are all available at your favorite discount store. Need assistance with decorating this tricky space? We are here to help! Please contact our San Diego design firm for a complimentary consultation on this or any of your design needs.